There are so many different ways to store your information that it could make choosing the right solution very difficult. You have to balance capacity, convenience and mobility with security, scalability, and the ability to share critical information with others. Ultimately, there are solutions that have several or all of these features. Purchasing an external hard drive or signing up for a cloud service is one thing. Choosing the right device or service that provides the maximum benefit or gives you the features that increase productivity and efficiency is the tricky part. If you’re looking for an easy way to store and share large amounts of information, documents, and critical business files, the most popular ways are to purchase an external hard drive, or subscribe to a cloud storage service. Each of them have advantages that can be useful for your business, but it really depends on what you require and what you want when it comes to file sharing and storage. External hard drives are extremely useful if you need to back up large files or transport a large amount of data from one computer to another. All that’s really required is a connection that’s compatible for each computer that you’re connecting to. You can download the files that you need to transfer to the drive, disconnect it safely, then connect and access the drive on the new computer and copy the files onto the new system. This is great for any employee or business owner that travels a lot. Now external hard drives are just a little larger than your credit card, you have a very secure, easy to manage system to transfer any size file from one place to another. You can also use external hard drives as a secondary backup of your critical business files. No matter what backup plan you have in place, it’s important to have another way to easily back up critical files in case you have problems with your in-house or online data backup service. 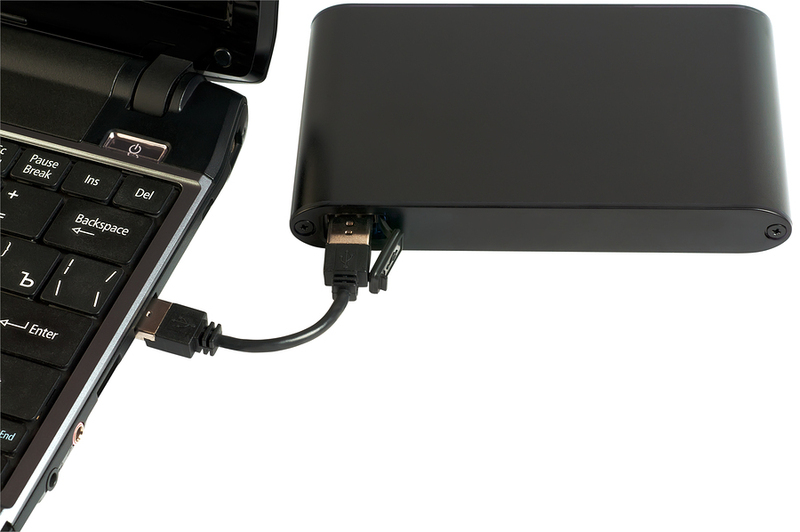 External hard drives can also be very secure- as long as you don’t lose them. You can prevent your data from being compromised by ensuring your external hard drive is encrypted. Cloud Storage is becoming one of the most popular methods for file sharing and data backup. 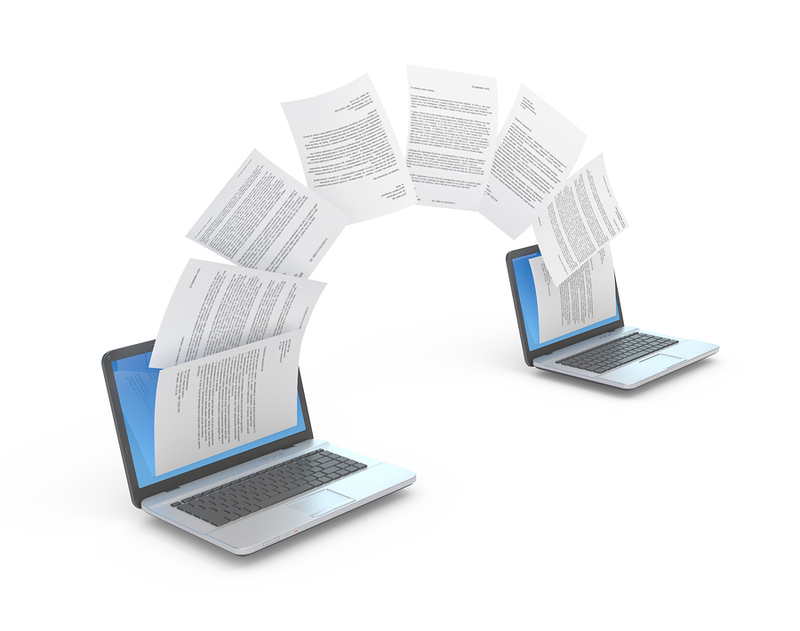 The right service provides you with a secure connection to upload any type of file and share that file with anyone you choose. One of the biggest advantages of cloud storage is the fact that it has minimal hardware and overhead costs. There are ongoing monthly fees, but overall, cloud storage gives you the ability to cut costs, improve productivity and access, and gives your employees the freedom to access and upload their files with one click of the mouse. Transferring files is quick and easy- as long as you have an internet connection, you have access to your files instantly from any computer, smart phone, or tablet. If your company uses a cloud server, your data protected in case of a catastrophic event (flood, fire, hurricane, etc). Cloud services are becoming one of the primary ways to back up critical business files instead of using backup tape rotation or other traditional methods. No matter what system you use to transfer or back up your files, you should consider some sort of cloud storage solution to make your office more efficient and streamline your document storage and backup services. 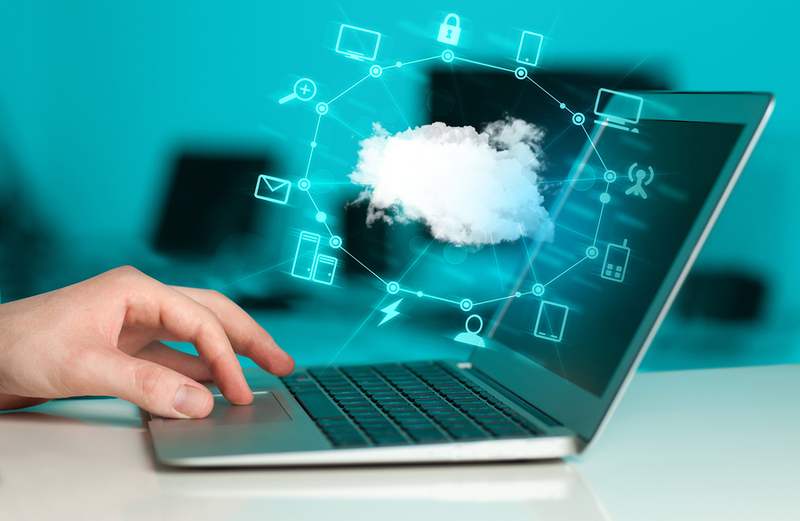 Record Nations can help connect you with cloud storage professionals that will walk you through the tedious process of selecting the right cloud storage company for your business needs.